Nice, fast memory. Had to change BIOS to go to 3000mhz instead of 2133 as default. Again.. I wanted to white LEDs to go with the "whitefox" theme. However I feel that it's going to be a tough ask to get the LEDs from this, the Kraken, and the Asus Strix 1070 to all match up. If I had to change one thing it would likely be this to either non-LED or go to blue LEDs as I think I could match those up better. Great speeds and looks, the only down side is the LED lights that pulse but you cannot sync them, set them to static or turn them off bit of a let down. 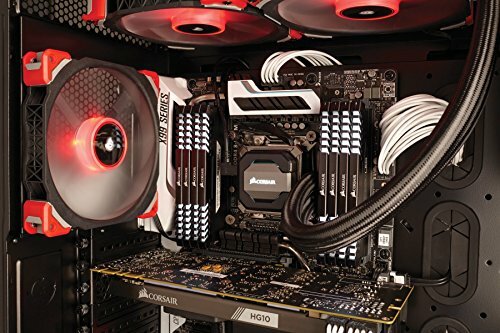 Sufficient amount of RAM and really nice breathing white LED's. Visually stunning heatsinks and lighting. Can only seem to get one of the sticks to adjust its lighting pattern though. Close to the cheapest 2x8 3GHz kit when purchased ($110), but I bought it for lighting effects - white will work in almost any build, and it does indeed look fabulous in person. However, prospective buyers should know that out of the box, the LEDs are NOT in an always-on state - they actually pulse on and off, which I thought was kinda cool but other people may not. Apart from that, it's just 16GB of 3GHz DDR4, and it works, so it has my recommendation. Great ram, nice warm light strips. When I shut the mobo's RGB lights off these stay on and look sweet. Also I got it on special for 109.99, which was the same price as the other ram I was considering but with no LED. 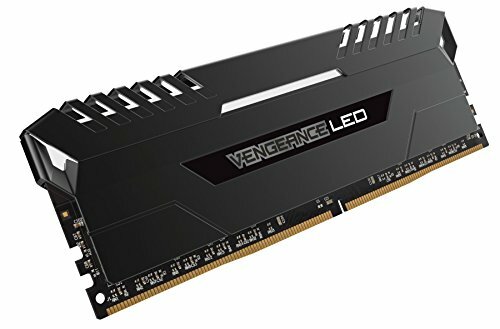 Really hard to go wrong with any kind of RAM, but LEDs on RAM? Aww schweet! 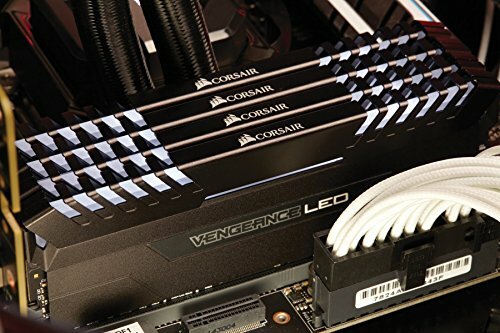 These perfom the same as Corsair's existing Vengence RAM and look good while doing it. It does what i need with no problems, and the leds add a nice touch. 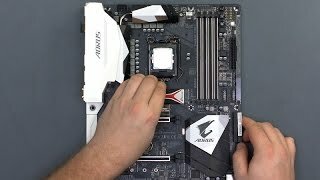 from completed build I have Ryzen from a potato! Pretty self explanatory. It's corsair and its great and reliable.